The skillful tailors of Hoi An are well-known throughout the world. Many of them can trace the trade through several generations of their family, and it’s not only women who are pulling a needle and thread. With deft fingers and a keen eye, they’re known by many as master craftsmen, able to copy any design they see. If you show them a picture of a coat, suit or dress, you can expect a nearly exact replica to be produced within 24-48 hours. The best tailor shops in Hoi An are well-known, and they are the reason that Vietnamese from all parts of the country will encourage you to visit this central city. Unfortunately, not every business operates honestly. The city has seen an increased number of tailor shops over the years because of those eager to capitalize on the influx of tourists looking for custom-made clothing. A larger variety of shops isn’t a bad thing, but the fallout of this explosion is that many of these tailors produce shoddy work. The supply has yet to exceed the demand and, as a result, some of these shops have less-qualified employees using lower-quality materials. Worse, the demand for quickly assembled clothes has led to the creation of overworked sweatshops. If you aren’t interested in giving your money to a questionable operation, read on for our tips on finding a great Hoi An tailor and how to handle the process of buying custom-made clothes. 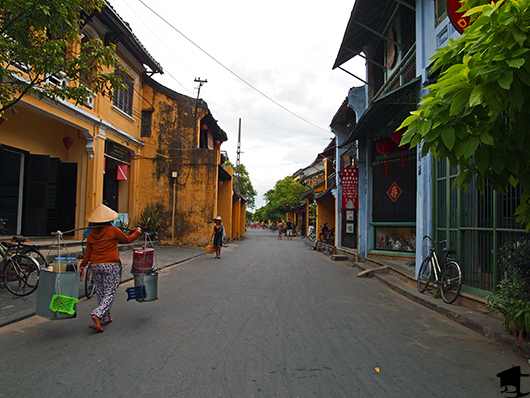 A street in Hoi An, Vietnam. Sketchy business practices abound in Hoi An. You will most likely encounter locals offering to tell you the best tailors the second you get off your train, bus or motorbike. In some cases, your taxi driver, hotel receptionist or a not-so-random local on the street will befriend you and urge you to go to a specific tailor. We even heard that some shops employ Western expats to approach tourists and bring them into their shop for a cut (a whopping 40% commission). Worse, the prices you will be quoted by the tailor shop will be padded with this extra cost. Yes, that means you will probably pay about 40% more if you take their recommendation than you would otherwise. So what constitutes a reliable source? Probably no one you will meet in Hoi An, and definitely not the hotel you are staying in (the tailor business is even more lucrative than the hospitality business in Hoi An). Since there is really no telling who is getting a commission and who isn’t, trust your gut when you hear stories and suggestions from other travelers. The way a conversation goes is a strong indication of whether ulterior motives are involved. If they’re pushing a little too hard and ask for your name or give you a “discount card,” they are getting a commission off you. There is an unspoken honor code for paying out on these commissions, so one of the first questions a tailor may ask is, “How did you find out about us?” This even applies to posts you may find online. Mike and I promise that we are NOT receiving any form of payment, monetary or otherwise, from any tailor we mention in this post. Our opinions are our own and influenced only by our experiences with each tailor in Hoi An. Tailor shop mannequins displaying the shop’s handiwork. While all tailors can have an article of clothing ready for you within 24 hours, it’s best to allow for a few fitting sessions. 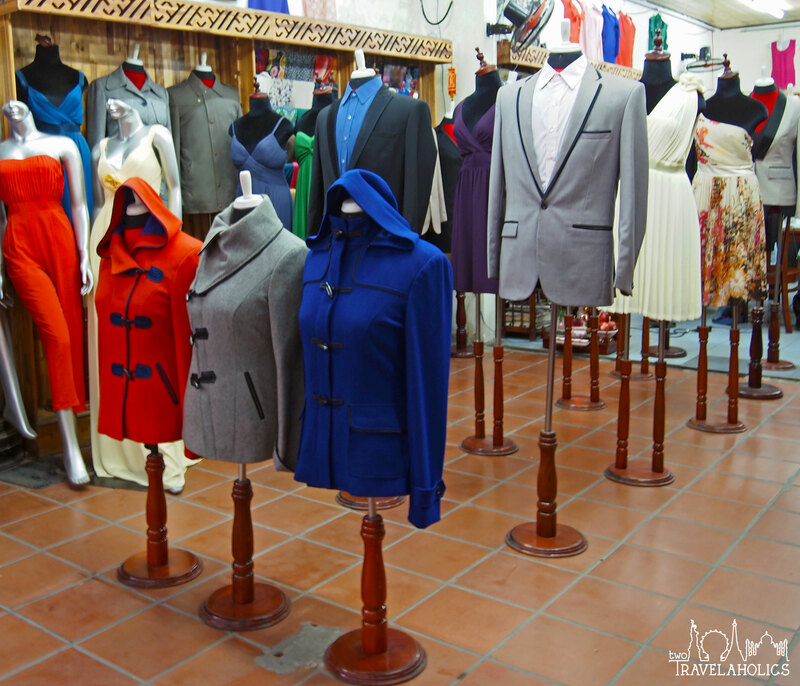 We spent four days in Hoi An, and in that time had three suits, three dresses, two winter coats and much more made for us. This allowed us to find tailors that we felt were trustworthy on the first day, then negotiate prices and get measurements taken. During days two through four, we went back in for fittings. The biggest mistakes visitors make are not staying long enough in the city and not letting their tailor know how many days they have in Hoi An. Expect that alterations and multiple fittings will be necessary. It doesn’t make sense to go all the way to Hoi An only to skip out on the step that ensures your handmade clothes are perfectly tailored to your body. The food itself is worth staying longer for! 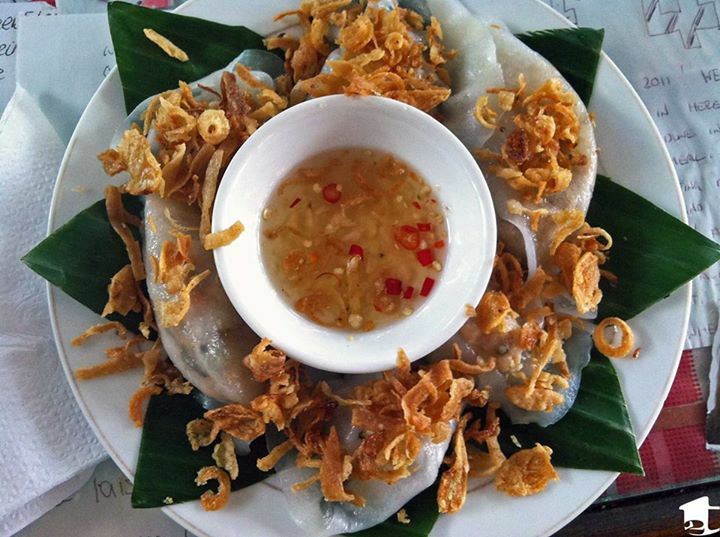 This is banh bao vac (white rose), a shrimp dumpling. Another benefit of giving yourself time to return for alterations is that your measurements that the tailors keep on file will be more accurate. If you get back home and love a blazer you had made, you can call or email the tailor and ask to have another made and sent to your home address. This is becoming a more standard practice among the tailors, but still ask your tailor if they offer this benefit. The first piece of advice we can give you when getting clothes made in Hoi An is that you should have an idea of what you want (A suit? Formal dress? Winter coat?) and even have a picture or URL to an image to show the tailor. However, if you have no clue what you want, you can search for a picture online (most tailors have a computer you can use), in a clothing catalogue (most tailors also have countless catalogues), or look at the clothing the shops have on display (they usually rotate their more popular styles on mannequins). While the climate is tepid to hot through the year, you will find they are no less skilled at making winterwear than summer clothes. Selection of colors and materials. Decide on a design and make sure to handpick every detail (even more on that later). You can either ask for material and color recommendations or tell the tailors exactly what you want. Be specific. If you want silk, don’t compromise on Japanese silk, as they are not the same. Know your fabrics and what you want for each piece of clothing. If they don’t have an exact match, ask to be taken to their fabric warehouse. Most tailors will accommodate this request if they’re truly interested in customer satisfaction. Ha Na Tailor (the tailor we used for most of our couture clothing) did this for a dress for Tara. 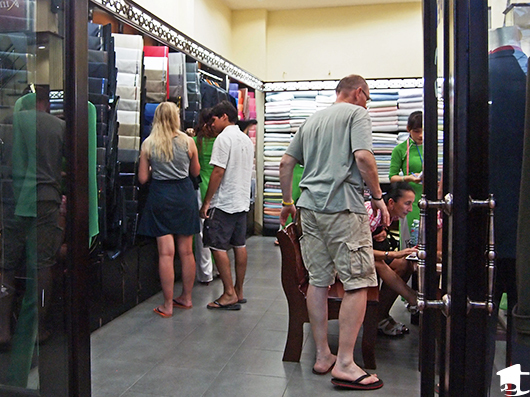 NOTE: From our experience, polyester is not a material that any tailor in Hoi An has access to. If you want dry-fit or workout clothing made, you won’t be able to get polyester. The same goes for jean material. They have an elastic jean material, but not actual jean material. A peek inside a higher-end tailor shop. Below is our checklist. Feel free to use it as a template and add your own ideas should you think of more things to ask the tailors. All items should be double stitched, also called blanket-stitching (this ensures your clothes won’t unravel the first time you launder them). Most visitors are not savvy enough to ask for some of these requests, so asking for them will show the tailors that you are serious about the quality. TIP: If you don’t believe a tailor when they tell you that a material is 100% pure silk, ask them to put it to the fire test. Real silk will burn and synthetic will melt. Honest tailors shouldn’t have an issue with proving the legitimacy of their product. Too loose? Too plain? It really doesn’t matter what your complaint is. Unless you are planning on returning to Hoi An to get them fixed, this is your one chance to get your couture clothing made just for you. They have to get it right if they want to get paid. That isn’t an unreasonable mindset, as you would feel the same way about custom clothing you have made anywhere else in the world. Mike working with his tailor to get the perfect fit for his suit. First, make sure the clothing is comfortable. Test it out by walking around, sitting down and raising your arms up and down and out to the side. Inspect the stitching to make sure they double stitched every part. Check the buttons to ensure they are sewn on tightly. Consult your checklist to ensure that all of your “demands” were met. Don’t be timid! You don’t want to have buyer’s remorse later because you didn’t speak up now. A majority of the clothes we had made required slight alterations. Unless your clothes magically fit perfectly (doubtful, but miracles can happen), inquire when your next fitting will be. 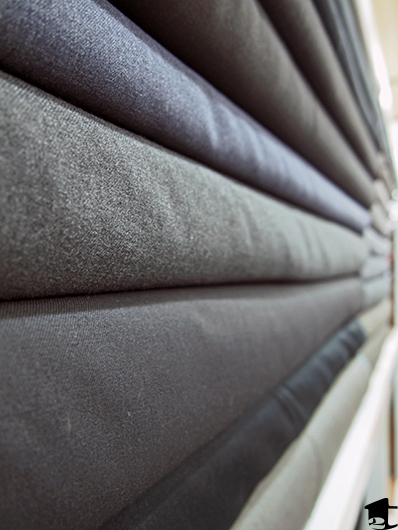 In most cases, tailors are able to meet a 24-hour turnaround. Make sure you’re on time to your fitting so you don’t end up having to wait around for others to finish. Once you wear the clothes you bought, go to TripAdvisor, travel forums or our comments section below and tell people about your experience with a particular tailor. Let others know about good and bad experiences so they can arrive in Hoi An and make better informed decisions. This will help weed out the bad apples and allow the talented tailors to continue their good work. Read about the tailors we used and our experiences. Great! It is not surprising that Viet Namese people are always so well-dressed. Delighted to find your post on Hoi An tailors. How do you come to chose to go with A over B (and C, D, E, F)? I suppose you must have walked around for a little while, checked out what was on display, etc. I just looked at the list of tailers on the TripAdvisor list and so many are recommended, I wonder how you came to pull trigger. Hi Bear! If I remember correctly, we initially went into a few shops. They all had their problems, like pushy salespeople, poor-quality material, or we weren’t really impressed by what we saw and what they offered. 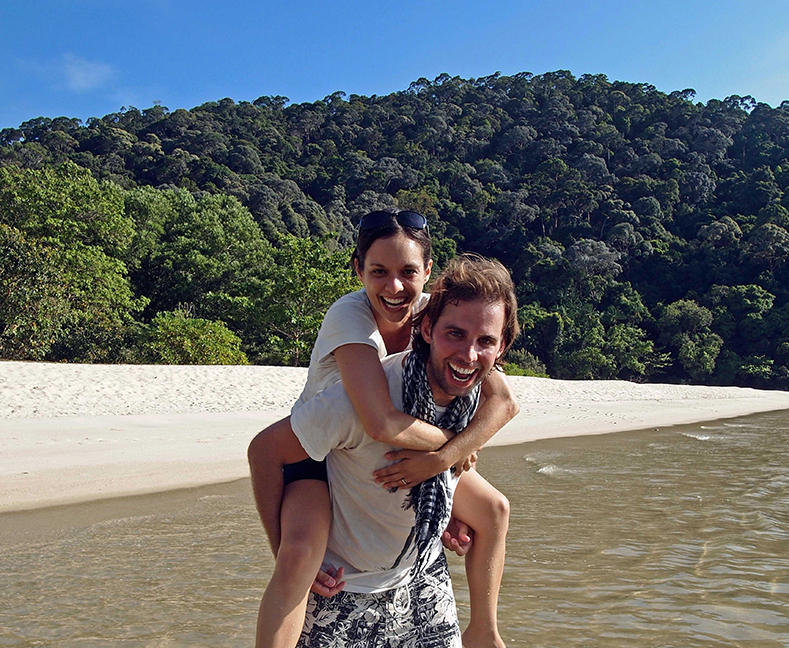 We found Ha Na through TripAdvisor and were really impressed when we talked to the merchant. She was friendly, knowledgeable, and flexible. That’s why we got the great majority of our clothes made there, and we highly recommend them (and would buy from them again). I got a skirt made elsewhere because they had one on display outside that caught my eye. Unfortunately the zipper on that skirt broke last year. It lasted me a few seasons, so at least it didn’t break right away. My winter coat I got from a different tailor because I loved the one on the mannequin and hadn’t seen it elsewhere. It fit me perfectly and I was able to negotiate the price to what I wanted, so I bought it on the spot. The only problem I’ve had with the coat is that the seam in one of the pockets has ripped, but it’s no big deal and I’ve been happy with it through a couple winters now. 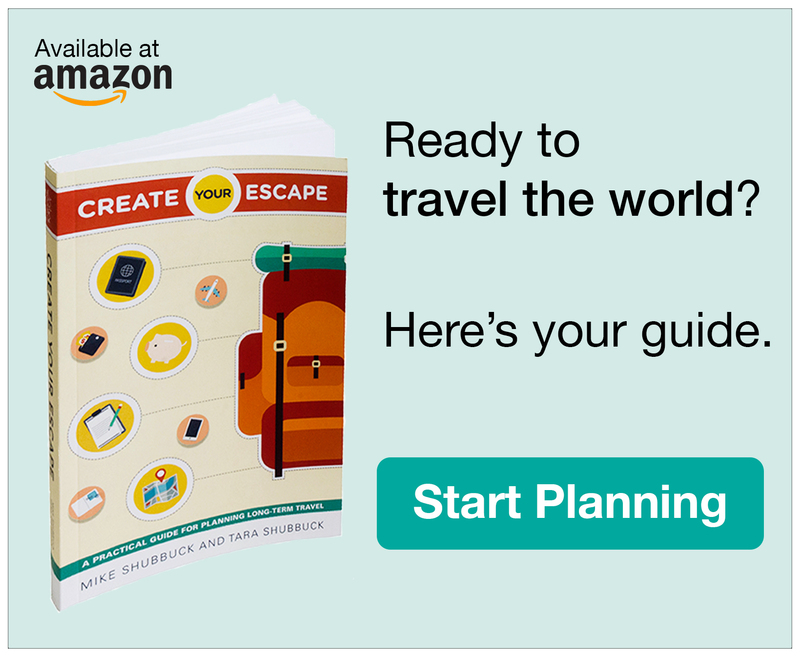 All that to say, it’s best to let TripAdvisor and others’ recommendations guide you. Some tailors have specialties, so you can narrow your options that way. 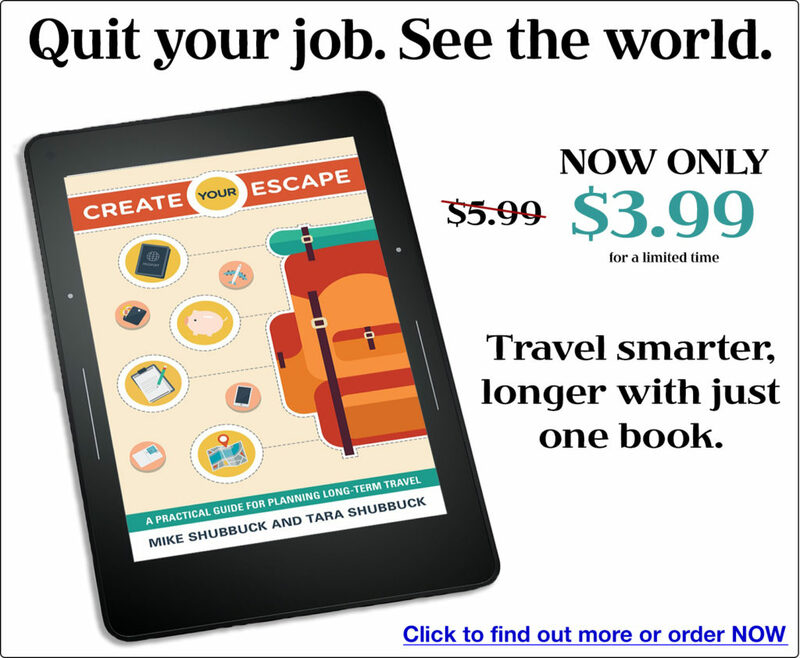 You can also ask fellow travelers while you’re there. Just don’t take recommendations from locals per the reasons mentioned in this post. Hope that helps. Please let me know if you have other questions. Good luck! me feeling that my suit would be well made. On next day, my trial came through in good mood, my suit was in good fit than my expected, only minor alteration in length, sleeves. I decided to get a waistcoat, 2 extra pants, 2 dress shirts. I was truly very satisfied with them. Don’t pick up random tailor, you never know what they’ll do with your clothes, should prepare in advance to avoid bad experience. After several years of hoping to get to Vietnam, it looks like an upcoming trip is going to materialize. Hoi An is definitely on my list of places to stop. After ordering clothes how are you exchanging monies. Are you carrying local cash, or are they doing exchange rate through credit cards Visa , MasterCard etc.? Are the Taylors able to ship purchased items back to U.S. or do I need to buy extra luggage? I expect to buy many different fittings of clothes and Vietnam is only one stop of several. Are these clothing items subject to duties and taxes upon return to the United States. Also what were accommodations like in Hoi An? As you suggested I would expect to be there 4 or 5 days to get necessary fittings complete. Any hotel recommendations or restaurants? Vietnam is incredible. You will have a great time there. The good news about the tailors is they have their business figured out. You could pay in cash, but most transactions are done by credit card (they accepted Visa and MasterCard, though I’m not sure if everyone takes AmEx). The tailors we went through were honest and shipped items back via mail if they could not be completed by the time the client was leaving Hoi An. They also kept your measurements on file in case you wanted to order something else from them without going back (though we wouldn’t really recommend this practice as most items need at least one refitting to get the size perfect.). As for tariffs, taxes, and duties? This is tricky and something I would not claim to be expert in. The truth is all good and items purchased abroad are subject to important tax based on their value (This nifty website may have you determine how much you may owe: http://www.dutycalculator.com/). It is a personal decision whether you’d want to buy extra suitcases and bring the items back with you or have them shipped home, but it was our experience, that factoring in 4-5 days is enough to have a range of clothes finished and ready for you to leave with. Accommodations are plentiful and while we were backpackers when we passed through there (hence, we won’t recommend where we stayed), the city offers everything from hostels to 5-star hotels. As for places to eat, try Sun shine. It’s a hidden gem. 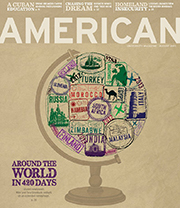 One of the most interesting and useful travel articles I’ve read in a while. Awesome article! My wife and I will be taking a trip to Hoi An, Vietnam next summer. Any recommendations on where I can find a men’s custom dress shirt tailor? And would you happen to have a contact by chance? Thanks, Vaughn. Mike got a few men’s dress shirts made at HaNa (the one I mention in the article), and he’s still happy with their quality three years later. There are some high-end tailors around town as well. Unfortunately we don’t have any contact information. It’s such a small town that your best bet is to take a few hours to walk around, popping into shops to check out quality, talk with the tailors and gather prices. It’s really easy to spot low, medium and high quality after talking to a handful of them. Check TripAdvisor reviews, too, but note that not every tailor shop has an online presence. That’s why it’s a good idea to check them all out for yourself once you arrive. It won’t take long, and their clothing turnaround times are quick. Safe travels and have fun! hey man, i guess using cash is safer? if i want to pay by cash, what is the average cost of suit? I would love to calculate my budget first, thanks! I am thinking about having a couch cover dyed in Hoi An, do you have any experience with having items dyed over there or do you know if this is a service i will be able to find easily. I have tried to do some research but am not finding much online. Oh, I’m very happy to see you had the wonderful time in Hoi An, especially having had some perfect tailor – made suits and dresses. So so you want to come back Vietnam?